This is great stuff. In fact, everything you’ve been doing lately is great. I’m a big fan. I was wondering if you are interesting in reviewing an article idea I am kicking around. I just want you opinion on my idea – pro or con. 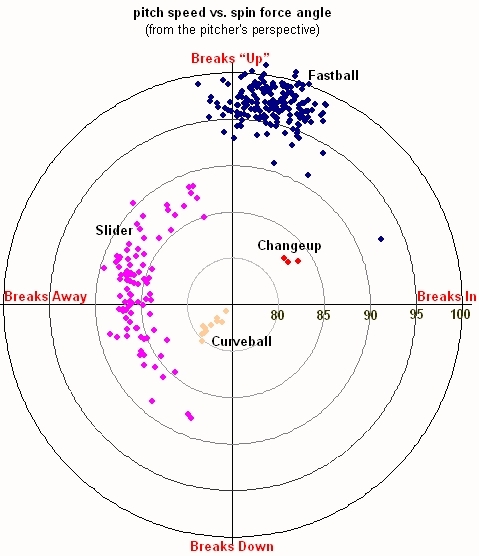 It deals with how pitchers spin a baseball, and you seem to be the leader in this area. Shoot me an email at the address I entered if you are interested. Mike…nice analysis. 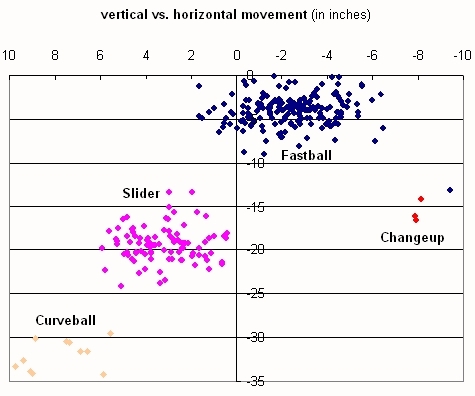 One of the interesting things about Joba’s slider is that there is almost no vertical break (i.e., pfx_z, which you did not plot but is in your spreadsheet, is close to 0). That means there is no topspin or backspin component to the spin, only sidespin, as confirmed by your spin direction plot which shows the spin angle around 90-deg (as expected for pure sidespin). Your polar plot also confirms that the break due to the spin is primarily sideways. Now, the really interesting thing is that for the slider, the magnitude of the spin is very small, around 500-1000 rpm. I suspect that what is really going on is that the actual spin magnitude is larger, but that the spin axis is rotated to have a substantial component in the forward (y-axis) direction. 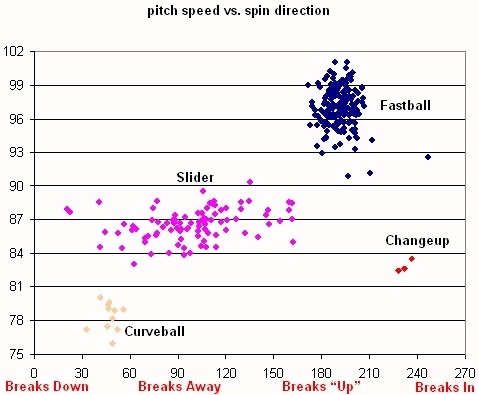 As you know, the y component of the spin does not contribute to the movement or break and so is impossible to determine from the trajectory of the pitch. I like the use of the polar graphs. It is easier to interpret the data. 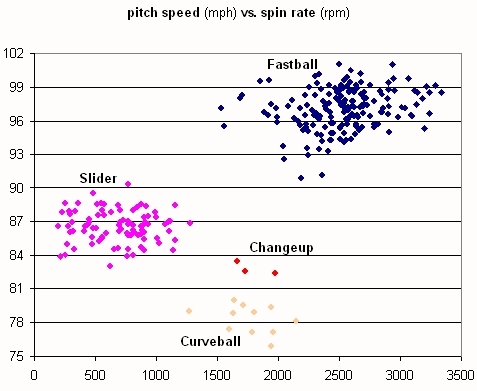 This is fascinating and very surprising that Chamberlain almost throws a real riser. Looking forward to more analysis in this regard.